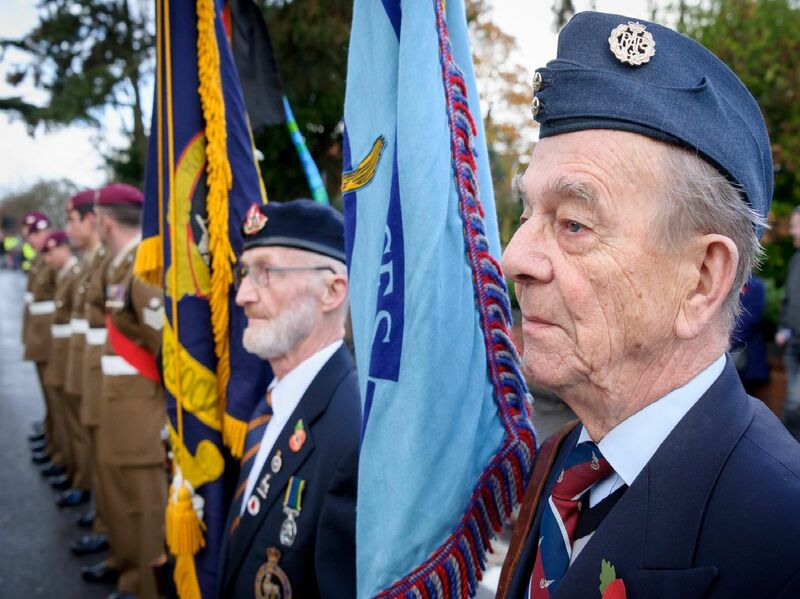 Photographer Mike Baker captured the day that Rugbeians turned out in huge numbers for a Remembrance Sunday parade to honour 100 years since Armistice Day. Representatives from around 20 groups including The Royal British Legion, ex-service organisations, Paratroopers from Rugby-based 4th Battalion the Parachute Regiment, Girls' Brigade and Boys' Brigade, Army, sea and air cadets gathered on Hillmorton Road to mark the poignant day. A veteran places a wreath. Spectators are joined by a Paratrooper in training. Rugby mayor Cllr Tom Mahoney inspects soldiers of the Parachute Regiment. Rugby's veterans on the march.